Wildlife groups are celebrating after kōkako has been successfully reintroduced to Otanewainuku Forest after being exiled for more than 25 years due to the threat of predators. 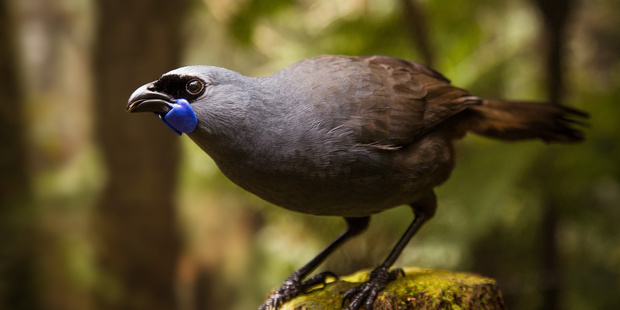 More than 40 kōkako now sing in the previously silent forest - a testament to the success of the breeding programme, according to Te Puke Forest and Bird. The endangerment status of North Island-based kōkako was classed as 'at risk and recovering' with 1600 pairs, according to the Department of Conservation. In the 1990s, the kōkako population in Otanewainuku Forest was devastated by predators and the remaining birds were removed by the Department of Conservation. Possums, rats and stoats counted among the main threats to kōkako eggs and chicks. A community trust was established by Te Puke Forest and Bird and in 2003 and it began predator control in the area through the help of volunteers. This continues today, with traplines and poison laid in the forest. Otanewainuku Kiwi Trust trustee Hans Pendergrast would be holding an illustrated talk on February 18 and would cover the history of the project and the outcomes of the latest placement of kōkako birds. WHAT: An illustrated talk on the history of the project and the outcomes of the latest placement of kōkako birds. Supper is provided, coin donation welcomed.